Is it Metering, Chargeback, or Showback? At their core, utility metering (or just “metering”), showback and chargeback of virtualization or Cloud IT resources are the same idea. The difference is that with chargeback, a report is ingested into an invoicing system, and bills are generated for delivery to end-users. Showback cost reporting is chargeback, but without the last step of producing invoices. All of these are relevant questions, which would be very hard to answer if the information was spread across multiple disparate systems. Furthermore, any reporting system needs to actually have data at the appropriate level of granularity. Next, C2 lists out *every* OS template that it knows about. 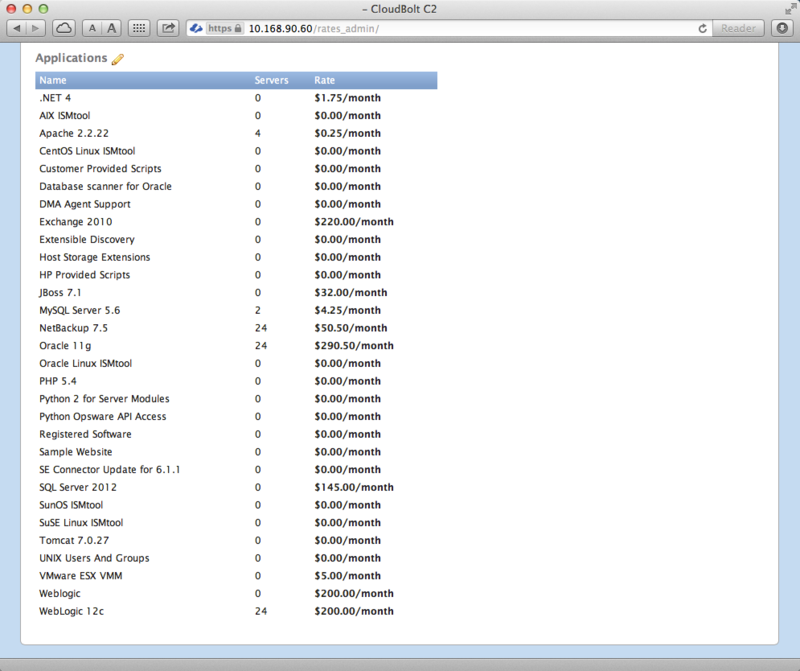 This includes templates from every virt platform and cloud provider that C2 is managing. Most other platforms stop here. C2 takes it a step further. For those environments that have some flavor of Data Center Automation (DCA) tool like Puppet, Chef, HP Server Automation (the bits that used to be Opsware), we also allow administrators to globally set the per-application costs. For environments that lack a DCA tool, Administrators can assign the software costs to OS templates, so consumers will still be exposed to the impact of the software stack they have chosen. Because there’s a division between the hardware and software costs, Administrators have the ability to report on operating system, application or hardware costs, or any combination of the above, as well as the total cost incurred for each instance. This separation ends up being pretty important when you’re trying to make business decisions related to technology. Additionally, we can track (and report on) this information no matter where the resource lives, in any environment C2 manages. Global rates work for environments that average IT costs across all aspects of their enterprise. That’s a pretty unrealistic world-view, though. As I’ve said before, we have spent time in the data center. Out of that experience comes the understanding that different environments have different costs not just for hardware, but often for software as well. To account for this, CloudBolt C2 administrators have the ability to override any of the above costs on a per-environment basis. This means that C2 understands that your Production HA VMware-powered and HP SA managed environment can cost more for hardware, applications, and OS templates than your QA environment that uses Xen and older hardware, and is managed by a free installation of Puppet. We allow administrators to set per-environment costs for OS Templates, and, of course, Applications. Hours, Days, Weeks, or Years? Not all allocation-based metering environments are created equal. Does your organization use a metric other than a month? What about models that rely on smaller increments? C2 has the built-in ability to globally meter usage in hours, days, weeks, months, or years. Organizations are free to choose the mechanism that makes the most sense for their Business. Since C2 keeps the resource status accounting internally, but uses a reporting engine to generate the billing information, the IT organization owns the business decision of how best to account for the Business’ resource usage. A billing report can be made to include all allocated resources, or just those that were used over the requested reporting interval. Additionally, and if desired, all reports can be pro-rated based on how long the resource is actually powered on. C2 can account for allocation by the hour, day, week, month, or year. Showing a user the cost impact of their request is an important step in gaining increased visibility over out-of-control IT costs in an enterprise. This becomes even more important when an IT organization has implemented a hybrid cloud, as there can be significant additional operational expense from running unneeded or underused instances. C2’s ability to show users the cost of their ordered resources is an important self-education tool that can effectively drive desired behavior. End users and Administrators alike can both see the split between hardware and software cost for each instance or service requested. As users make selections in their ordering window, the total price will automatically adjust based on the users’ selection. For instance, in the following three diagrams, a user request (and perception) will change pretty rapidly when they see the cost of the database stack they chose. A LAMP server selection by a member of the Bonds Group in the San Jose QA Lab environment costs $20.70/month. 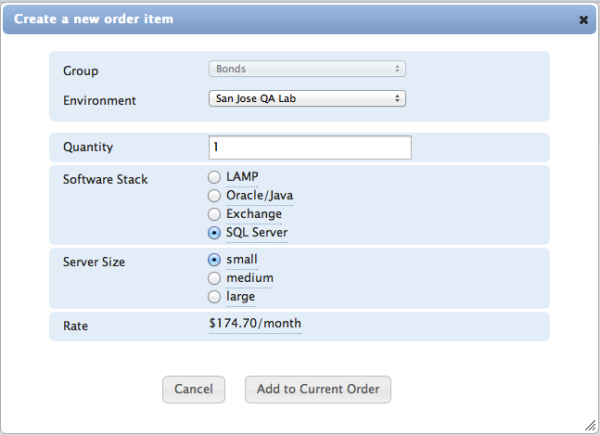 A similar request, but selecting the SQL Server stack costs $174.70/month. Another similar request, but selecting the Oracle/JAVA stack costs $557.20/month. Once a user selects multiple systems for an order, they will have the chance to review their order before submitting for approval. As part of the approval mechanism, approvers may be given the ability to edit existing orders before approving them, which provides a valuable mechanism to control costs. Once an order is submitted, the approver can be given the opportunity to edit the order before it’s approved. One of my previous comments (http://info.cloudboltsoftware.com/blog/bid/306535/7-Takeaways-From-the-Red-Hat-Summit) about chargeback and showback is that due to internal resistance, few organizations are actually taking the step of producing invoices or decrementing funds from a budget. Effective reporting is the first step in achieving true chargeback in an organization. Only when IT organizations understand the true impact of a team, project, group, or line of businesses’ IT consumption can the Business itself make effective decisions around spend and focus of precious funds. CloudBolt C2’s single pane-of-glass management coupled with the powerful built-in reporting goes beyond rate metering and actually enables Business-Driven IT. The reporting engine makes getting the intelligence out of how an environment is being used possible no matter what your role in the organization. Thankfully, C2 can handle both use cases today. Once C2 is implemented, IT Organizations can begin the process of using showback costs to drive user behavior, stamp out VM Sprawl, and further the push for true internal IT chargeback to business units. Utility metering is an important part in recognizing where funds are being spent for access to IT infrastructure and applications. An effective tool must not just do this for one platform, but unifying any number of platforms. A granular metering infrastructure must separate the application cost from the hardware cost, which allows IT Administrators (and/or users) to piece together different variations of hardware and software to get the end capability needed. All of this must be reportable in any format needed or desired. Metering may be only one aspect of “the cloud”, but it’s an important one, and one, with CloudBolt C2, is built in, and integrated at every step of the way. Want to learn more about how Utility Metering plays a part in Business-Driven IT? Bernd Harzog, the Cloud analyst at TheVirtualizationPractice.com recently wrote a paper that analyzes the various business impacts of next-generation cloud managers. 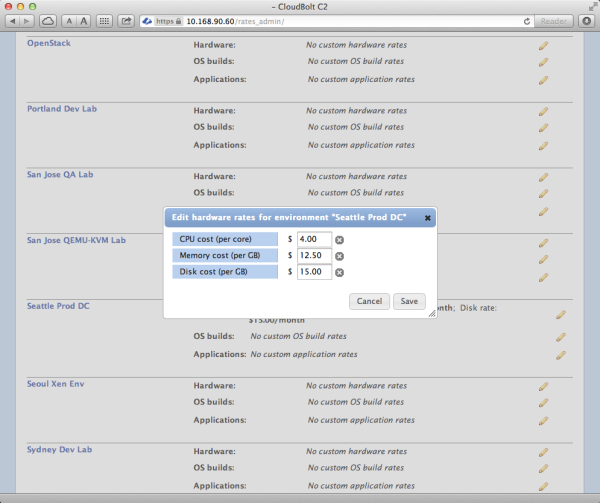 VMware Lab Manager is going away and CloudBolt C2 can take over. I happened to catch Brandon Butler’s article talking about the replacement choices customers have now that VMware’s Lab Manager product is being discontinued. There has been no shortage of vendors to quickly put their hands up with claims such as “no net new costs” or offering new cloud service provider options to help those customers move to something new and better. Some of these solutions still require you to upgrade from vCenter 4 to 5. Others are overly complicated, or require you to use something different than vCenter-based virtualization altogether. 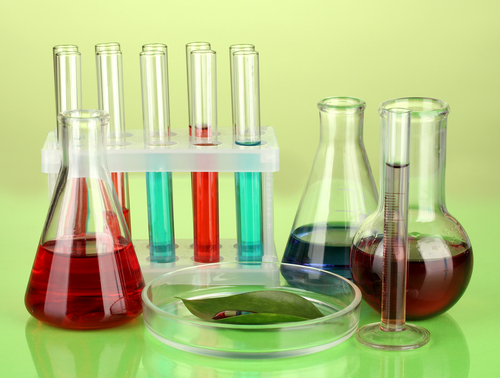 Your Lab Manager installation will be far less functional (or colorful) in a few months. Too good to be true? Hardly! 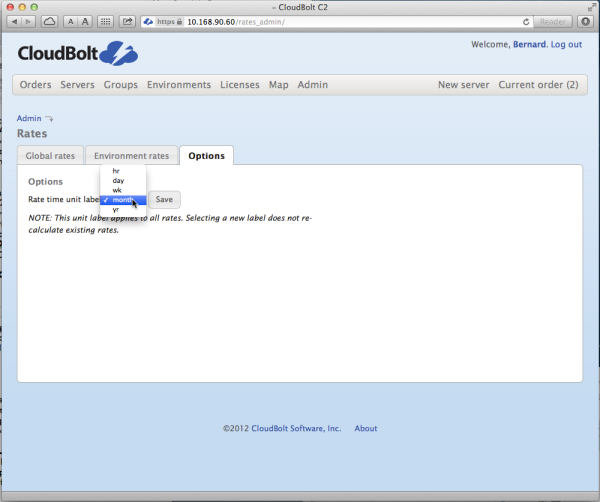 For starters, CloudBolt Command and Control (C2) is amazingly easy to install and configure. 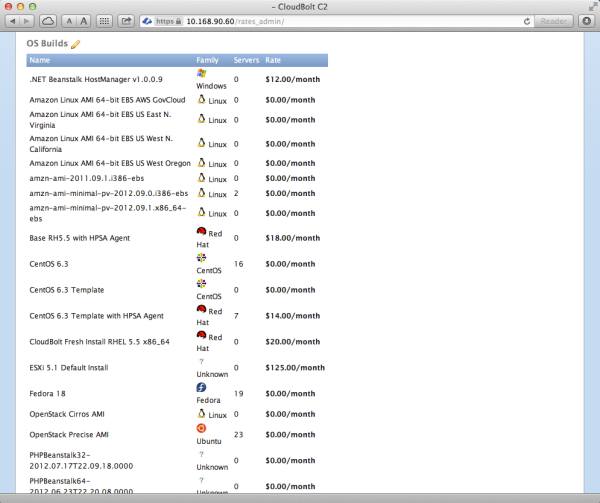 Download the virtual appliance, import it into your vCenter cluster (it even works on version 4! ), and you’re off to the races. With most installation and configurations taking less than 20 minutes, CloudBolt C2 can start deploying instances in your vCenter environment almost immediately. Not only can your users easily provision their resources using CloudBolt C2’s self service interface, but you’ll get the easy ability to seamlessly use public cloud resources, if desired. 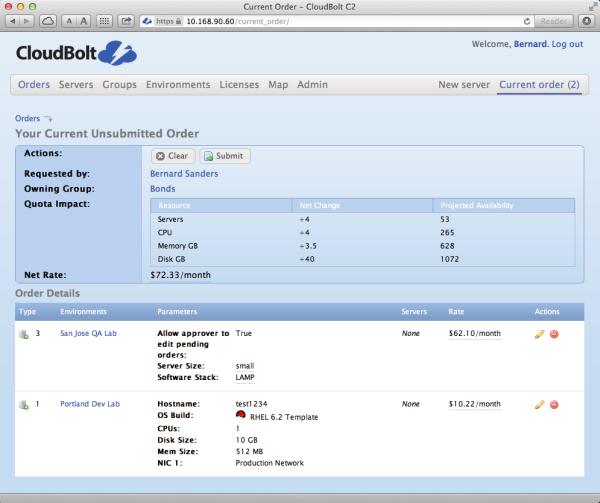 Of course, CloudBolt C2 do all of that, but we’ve got a special treat. 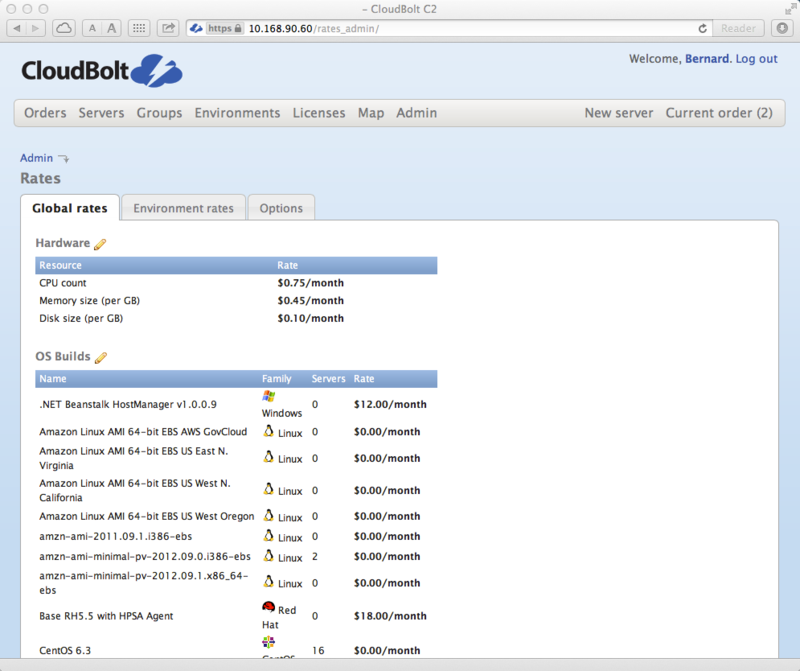 CloudBolt C2 Virtualization Edition is free to use for up to 100 managed VMs. I’m not even saying no net new cost. I’m saying no cost. How’s that for an option? Call it what you'd like: Cloud Management Platform, Cloud Manager, or even a Virtualization Manager, but one fact remains-- technology that unifies the management and provisioning of your IT environment is here to stay. If you're not already looking at one to help reduce I&O expenses, you should be. 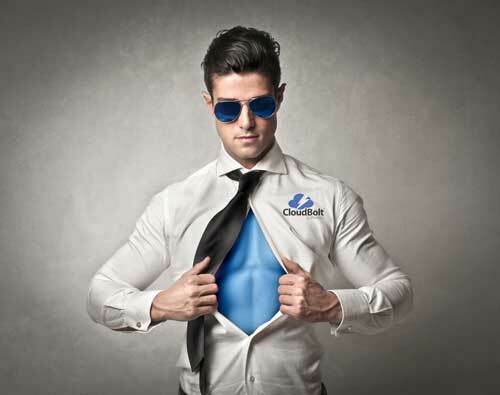 At a high level, Cloud Management Platforms such as CloudBolt Software's Command and Control (C2) provide a layer of management on top of existing virtual environments. We drive a greater value from existing virtualization and data enter automation/configuration management tools by unifying the management and visibility. A world-class Cloud Management Platform provides visibility and control of your IT environment mapped to your business via a single pane-of-glass. That sort of cohesive internal management makes IT more agile and can lower costs. Of course, we can't stop there. In a recent Gartner poll, 47% of IT groups planned to have some type of hybrid cloud deployment by 2015-- so any reasonably capable Cloud Management Platform must also provide the same level of management and oversight over public cloud instances and deployments. Together, these capabilities allow IT line of business owners to rapidly transform their organization into a more agile part service-provider and part cloud broker. This, according to Gartner, is the likely path of successful IT organizations that are under a near-constant assault from public cloud providers such as Amazon Web Services and Rackspace. There is no area of business IT that is safe from this attack. Public cloud vendors in the US and other countries are even now racing to stand up government-only environments, which meet the copious requirements—which often amount to pages of standards required to host many government applications. To me, the conclusion for any business leader in IT seems to be crystal clear: transform or be transformed. 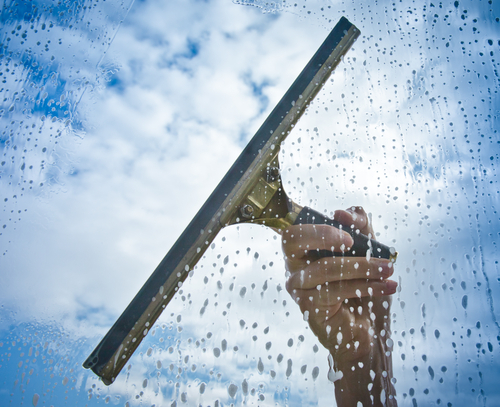 This is where effective cloud management comes into play. By all reasonable accounts, you're either already virtualizing, or have virtualized most workloads capable of being hosted in this model. The task does not end there. You must transform your IT organization to be more agile-- more able to respond to the needs of the greater business in less time, and lower cost than the big public providers are able to accomplish. The only path to this situation is effective cloud management. It's a little more complicated than just providing a self-service portal to your users. There is still significant amounts of policy that need to be updated and adapted to a cloud-enteric world, be it private, public, or hybrid. You need to continue to provide end-to-end life cycle management, and must be able to deliver the applications that end users need, while doing so in a manner that is controlled and well understood. Move dev/test to public cloud resources? Implement resource quotas? Modify approval processes? Make more public cloud resources available as needed? Implement charge or show-back accounting for resource consumption? Have a look at our Cloud Management Platform. We think you'll find it not only has industry-leading capabilities, but will be easier to use and integrate into your existing processes than literally anything else out there, and at a CapEx and OpEx that cannot be beat by anyone in the industry. But don't take our word for it-- download it for free and get started today. Cloud is really a verb? Stop cloud washing. Here’s an interesting challenge—the next time you’re talking with a vendor about cloud, why not ask them for their definition of just what cloud is? Any vendor that can’t—or won’t—answer that question is likely hiding something. Here at CloudBolt, the formula is pretty simple. For years we’ve see vendors tout that their ability to enable private cloud in your environment. The truth is that very few of those pricey technologies really accomplished that. Why? Because those technologies did nothing to make internal resources more consumable. If you have technology that your end users cannot directly request and consume at some level, with accountability, you may have great virtualization, but you don’t have a real cloud. Our path is to make the resources visible, make the resources consumable, apply a generous helping of accountability and reporting, and start really recognizing the value offered by driving out costs from your environment. When it comes to IT resources, it feels like vendors forget the S in IaaS. Without the service, you just have Infrastructure. And that's no different than how this has been done for decades.